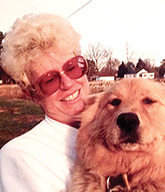 WEEMS—Carla Chandler of Weems passed away on Friday, March 15, 2019. She was undergoing treatment for cancer and the chemo overwhelmed her. Carla was born February 5, 1942, in Ladue, Mo., a lovely suburb of St. Louis. After graduating from Ladue High School, she attended University of Wyoming. Moving to Northern California, she worked at the Stanford Linear Accelerator Center (SLAC) in Menlo Park, Calif. In 1964, Carla moved east to Washington, D.C., and worked for URS Systems and then Calculon as executive assistant to the chief financial officer. Carla and her future husband, Mike Greenwood, were active sailors. In the Star class, sailing as skipper and crew, they competed in racing regattas around the Chesapeake Bay for many years. She loved sailing and loved Star boats. In the late 1980s, Carla and Mike moved to Weems, where Mike ran Greenwood Flying Service. Mike died in 2018. Carla settled into Northern Neck life. She loved to garden and took pride in beautifully maintaining their large property in Weems. She could often be seen riding on her John Deere lawnmower, attempting to keep after the ever-growing grass. She was always competing against the elements, especially the weather. She had a ready laugh and a fighting spirit. The center of Carla’s social life was gathering with her pals on Thursday evenings. It is hard to overstate the deep affection she felt for these dear friends. In her life, Carla derived greatest pleasure from the following: Sailing with her dad at Harbor Point Yacht Club on the Mississippi River; early rock and roll, especially Elvis Presley and Chuck Berry; sailing and being on the water; classic wooden power boats, the return of the purple martins; her many loyal friends; and last for certainly not least, cats. Carla could never refuse a home to a cat who showed up on her doorstep seeking refuge. Whether they lived outdoors, returning for meals and the heating pads on the front porch, or opted for the more cushy life inside, the cats were spoiled with care and affection. The cats were fed lavishly and often treated to sliced turkey from The River Market. She gave much love and received much love from her kitties. Carla is survived by her younger sister, Beverly Galloway and her brother-in-law, Chris Curtis, who live in the San Francisco Bay Area. In lieu of flowers, please make a donation to the Animal Welfare League in Kilmarnock, P.O. Box 975, White Stone, VA 22578. A memorial service at Currie Funeral Home will be announced in the near future.